Are Some Cancers More Neglected in Research and Awareness-Raising Efforts Than Others? 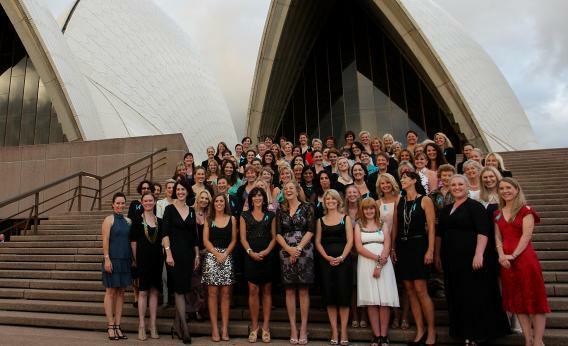 Ambassadors and survivors of ovarian cancer pose on the Sydney Opera House steps for Teal Ribbon Day in honor of women who have lost the battle with ovarian cancer on Feb. 22, 2011 in Sydney, Australia. Photo by Lisa Maree Williams/Getty Images. In reference to this article in The New York Times, “Widespread Flaws Found in Ovarian Cancer Treatment,” from March 2013. I read the article linked to in the New York Times. It’s about the inadequacy of treatments for advanced ovarian cancer as compared to breast cancer. The main problem with this article is that it inadequately summarizes a very complicated medical problem, the treatment of ovarian cancer, in a fairly brief piece of writing. I know someone who wrote for a major newspaper. She told me that no one wanted to write medical stories because none of the journalists understood what they were writing about. The job fell to the newest and least experienced writers, and they usually made a mess of it. I’ve done newspaper, magazine, and TV interviews, and it’s often frustrating to find the one sentence taken for quote out of a 30-minute discussion. So here’s my take on this stuff in the NYT. 1. Ovarian cancer has a high fatality rate because there is at this time no good screening test. Fortunately, only about 1 percent of women get ovarian cancer. But unlike breast cancer, which can often be detected early with mammograms, ovarian cancer patients are often very advanced at diagnosis. That more than anything else accounts for the lower survival. Stage 1 patients have a cure rate that can exceed 80-85 percent. But the most common stage is 3 because of inadequate screening, and the cure rate is around 20 percent. These are cure rates, not survival rates which are higher. So early diagnosis would make a huge difference and scientists are working hard to find a good screening test. 2.Because most ovarian cancer patients are diagnosed late, surgery is often done urgently because of bowel obstruction, pain, or large amounts of fluid that accumulates in the abdomen. 3. America is big. Really big. Not everyone can go to Johns Hopkins, MD Anderson, Massachusetts General, Mayo Clinic, UCLA, Stanford, or an equivalent facility for care. It could take weeks to get an appointment. The patients are often unstable and can’t wait. There are distance issues as well. Often patients are too ill to travel. So sure, it would be great if there was a gynecologic oncologist in every town, but there just isn’t and lots of times the surgery has to be done by a regular gynecologist. And with the help of a general surgeon, the two can do the appropriate operation, which is to try to remove as much of the spreading cancer as possible. This is one of the few advanced cancers, where debulking the cancer will be helpful. So if you look at SEER data, patients operated on by gyn-oncologists do a little better. A little better, not a lot better. Because the main problem is late diagnosis and to a much lesser extent inadequate surgery. Any statistician can blow this type of analysis out of the water in one second. There is an obvious selection bias. Ovarian patients who are too ill to wait for surgery, those who don’t have the resources to travel to a center, who are too old, who are not medically stable, and who are not healthy enough to travel are obviously going to do worse. It’s not a fair analysis and seems self-serving from the gyn-oncology society (article came out one month after the GOG meeting) to be putting down community gynecologists and surgeons who are trying their best. 4. The chemotherapy isn’t made at Johns Hopkins. It’s not made at MD Anderson either. The drugs are made by Big Pharma companies and are available virtually anywhere in America. The article says that intraperitoneal chemotherapy extends survival. It’s true. But this is very toxic chemotherapy infused directly into the abdominal cavity. It’s so toxic that more than half of the patients who start out on it either can’t continue or refuse to continue because of severe side effects. Every cancer specialist that treats ovarian is aware of the data. Patients just can’t get through the treatment, even a major university cancer centers. Seven years later, Dr. Armstrong and other physicians said, IP therapy still has not caught on. Part of the reason may involve money, Dr. Armstrong said. With IP chemotherapy, patients also need a lot of intravenous fluids, which means unusually long treatment sessions. Oncologists are paid for treatments, not for time, so for those in private practice, long sessions can eat away at income. “MAY INVOLVE MONEY”? Now I don’t know Dr. Armstrong at Hopkins and I’m sure that she is very qualified and means well. And I’m going to give her the benefit of the doubt and say that she was misquoted by the journalist. Oncologists don’t give chemotherapy. They order it. It takes them the same amount of time to order chemotherapy, whether intravenously or intraperitoneally. Oncology nurses give the treatments. And there is reimbursement for infusion time. It’s reimbursed by the hour. And all the supplies are reimbursed as well. Giving intraperitoneal chemotherapy maybe adds an extra one or two hours. The journalist is incorrect. The reason that intraperitoneal chemotherapy isn’t given is because doctors and patients have to weigh the potential increase in survival, measured in months against the toxicity of treatments which include a lot more abdominal pain, nausea, severe fatigue, and malaise. And many of the patients are elderly as well. Think of how poorly your 73-year-old grandmother does with a severe case of the flu for one week. After that she can’t even walk normally for 2-3 weeks. How about getting that flu, but five times worse, every three weeks like the chemotherapy cycle? In one of the seminal papers on intraperitoneal chemotherapy, only 40 percent of patients were able to complete the treatment. This wasn’t a money issue. The treatments are paid for by the study. This is a toxicity problem. So how about addressing the Quora question of “What can be done to improve the status quo?” It would be nice if every cancer patient could be treated at one of America’s nationally recognized cancer centers by a nationally recognized cancer specialist. But that’s never going to happen. They don’t have the staff or facility space to get patients in in a timely manner. The country is too large and travel may be impossible. Many cancer situations are impending emergencies. Many patients just don’t have the resources to get a plane and hotel. Patients need to get the best care that they can get. Fortunately there are a lot of excellent cancer specialists in the communities that surround major metropolitan areas. Take the very extended area around San Francisco. Virtually every oncologist is someone who trained at UCSF or Stanford. Can’t do much better than that. A second opinion at a nearby university cancer center can often be helpful, but often travel is impossible. I’ve had a number of patients benefit from the online consultation services like the one associated with Harvard. What are some resources for wives whose husbands have been diagnosed with cancer?